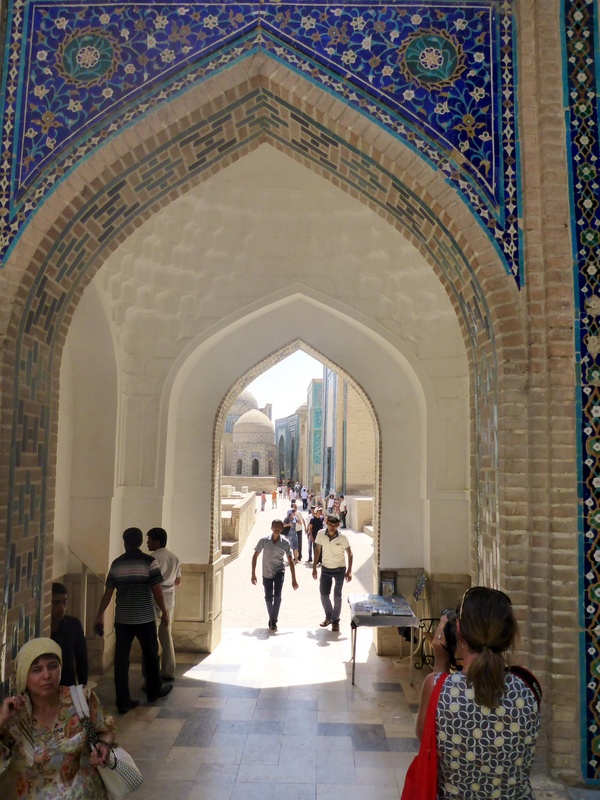 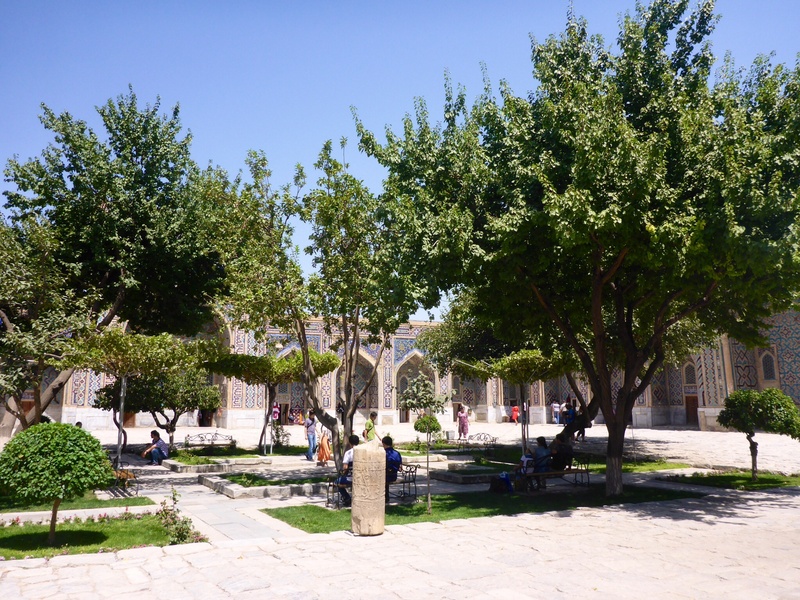 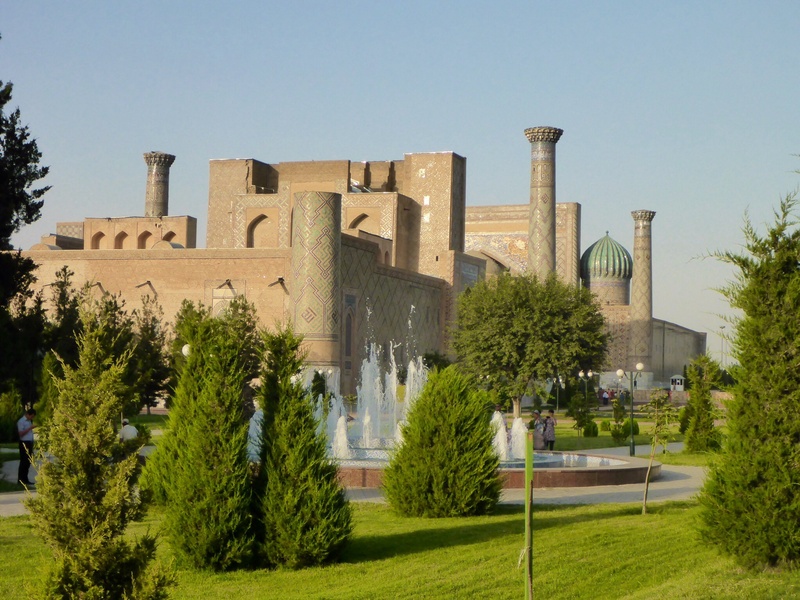 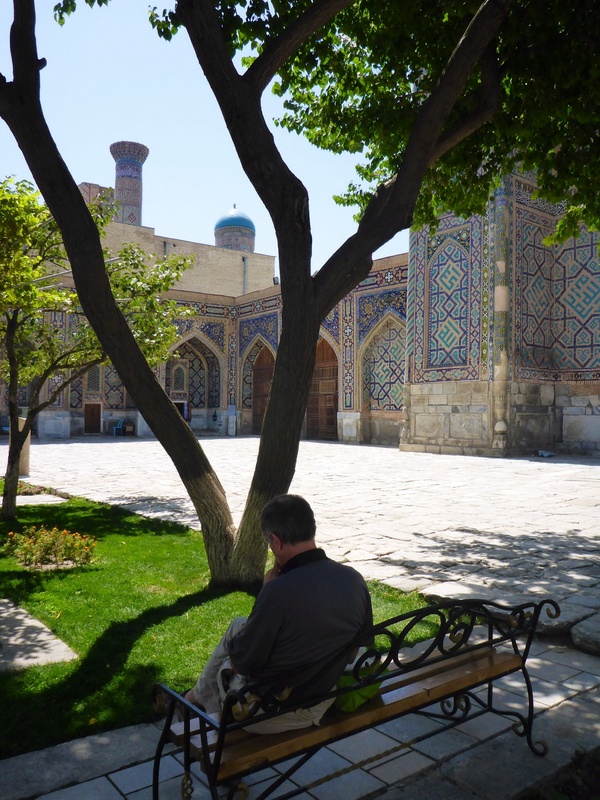 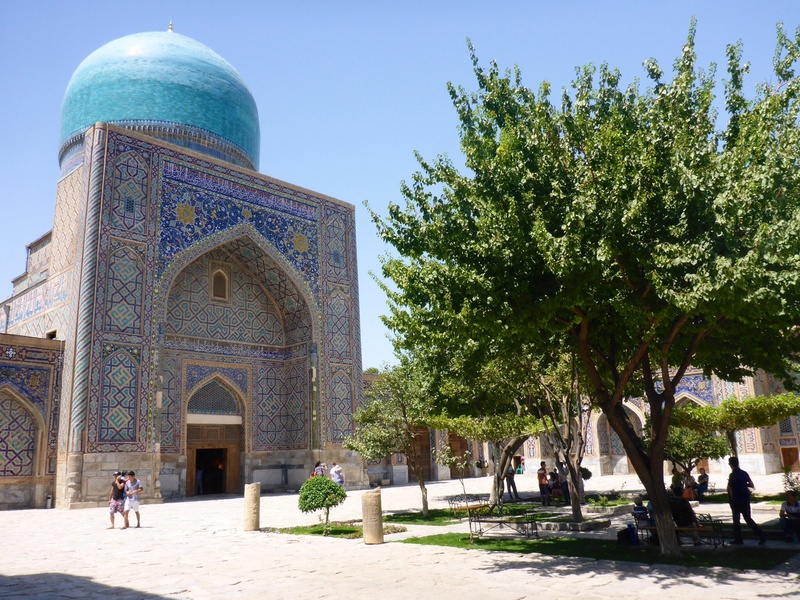 Words cannot describe the beauty of the treasures we have had the privilege to visit, the serenity of the architecture and madrasahs and the warmth of Uzbeks, so I hope you enjoy this silent stroll. 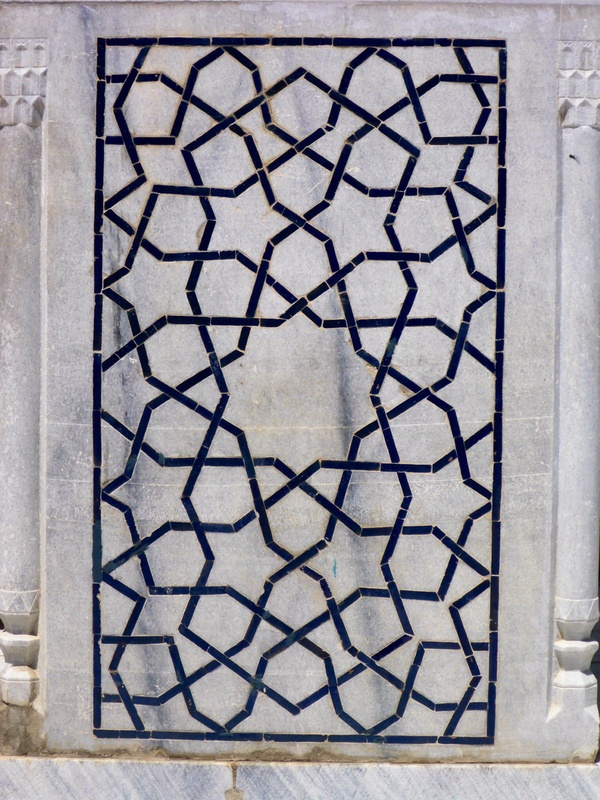 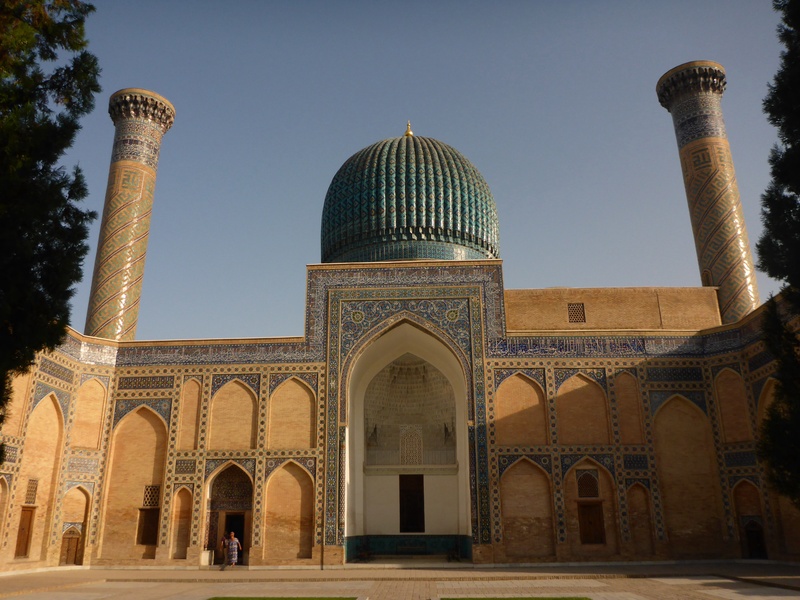 Amir Temur, Tamerlane, mausoleum, Samarkand, Uzbekistan – Amir Temur’s tomb is in the centre – there is much interesting folklore around this solid block of dark green jade tomb stone (which appears black without direct sunlight on it). 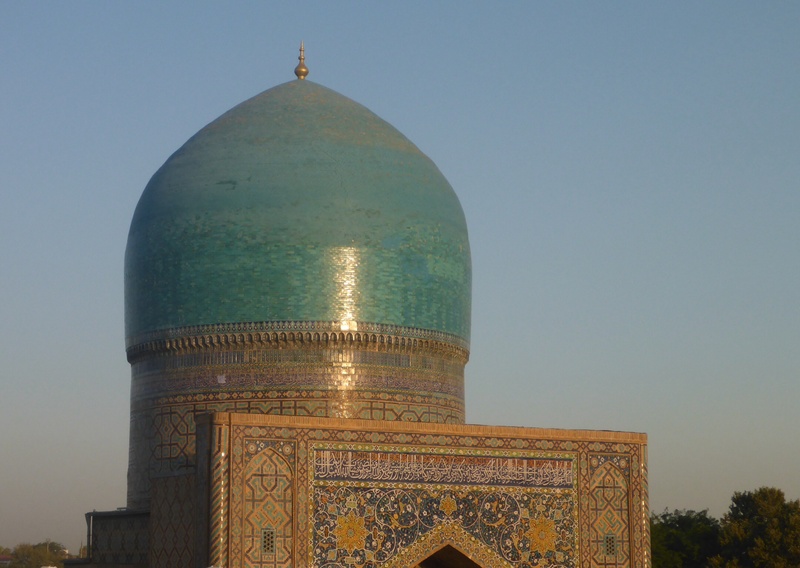 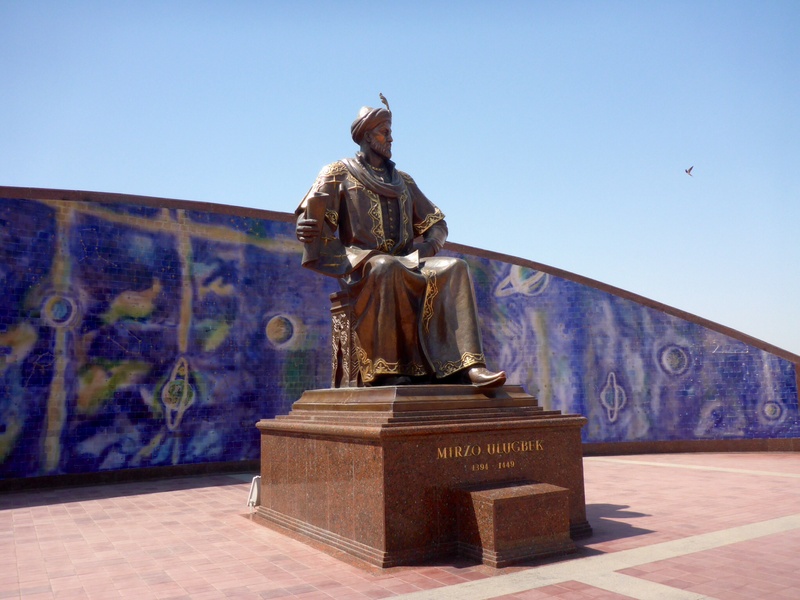 Amir Temur died in 1405. 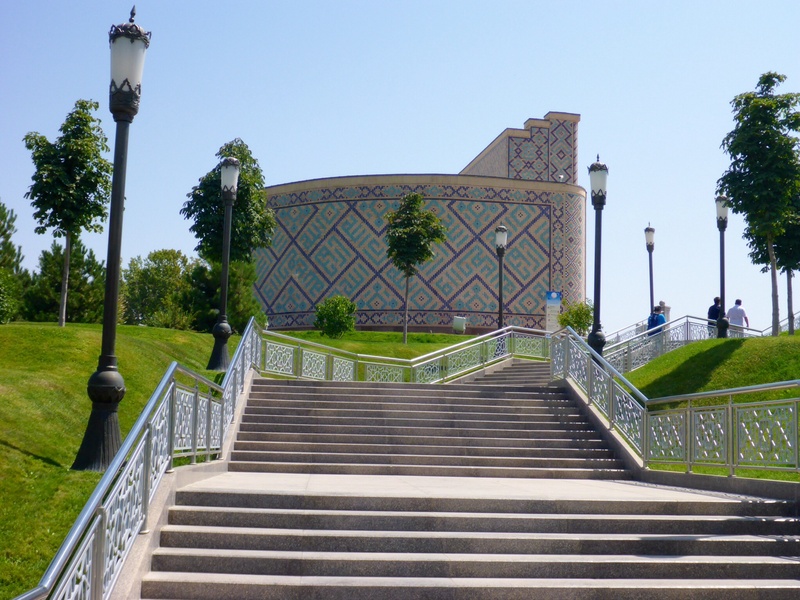 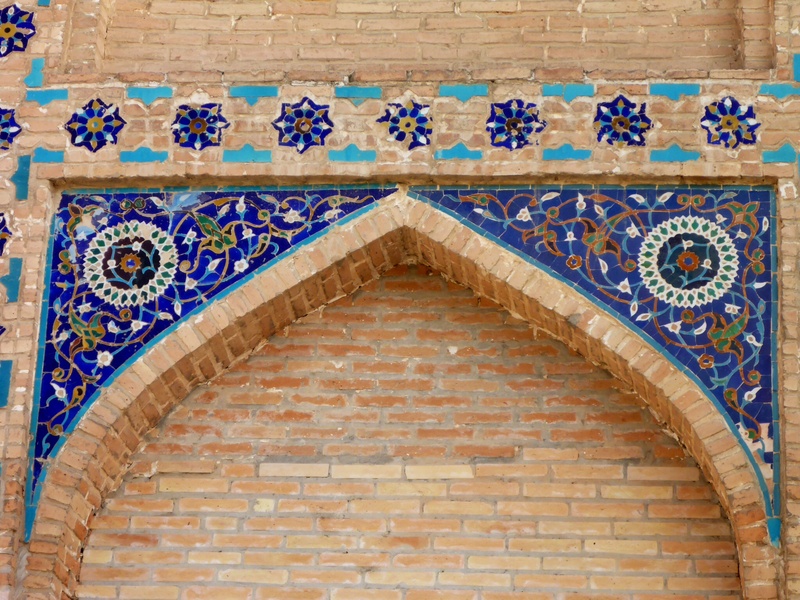 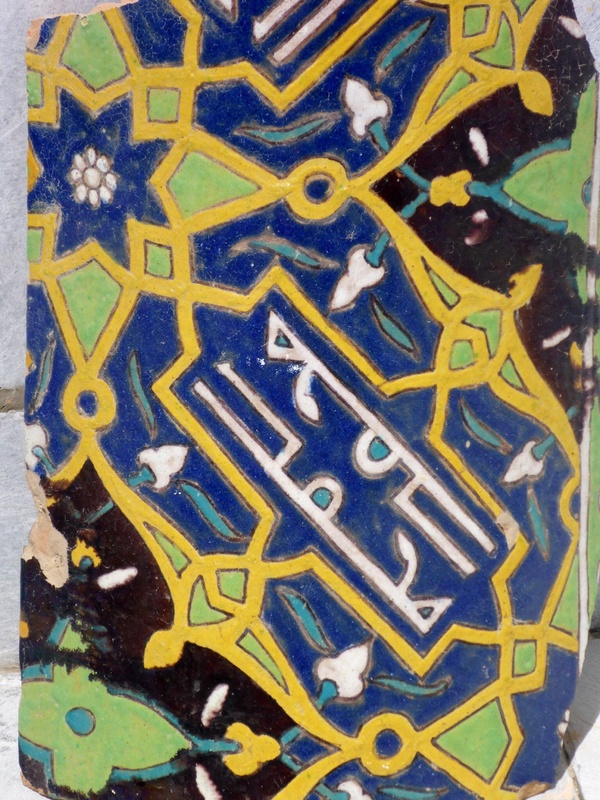 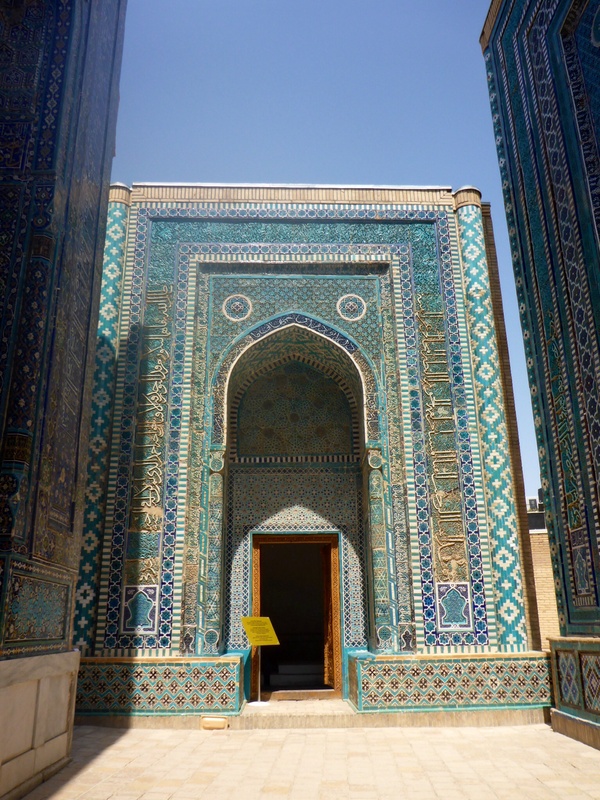 Ulugh-Beg madrasah, Registan, Samarkand, Uzbekistan: a school for higher education in secular science, including philosophy, mathematics, astronomy. 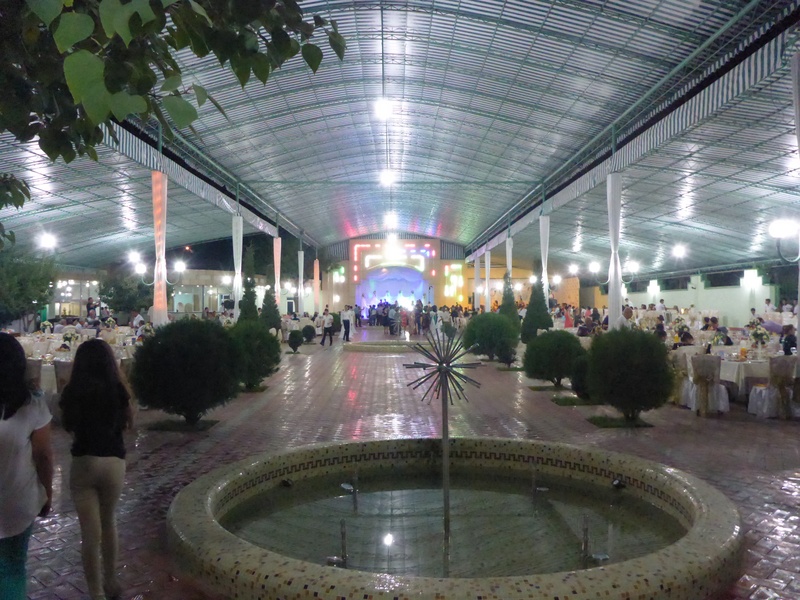 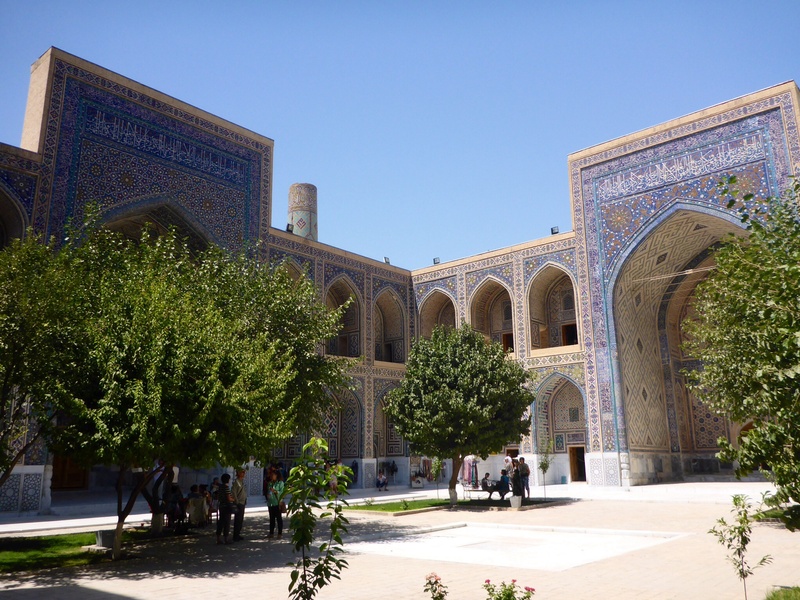 Under each arch were either lecture rooms or dormitories. 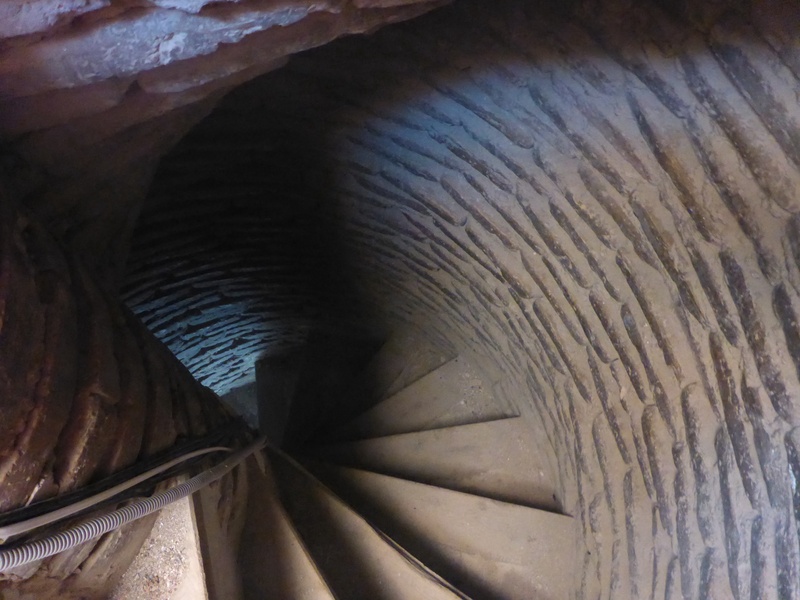 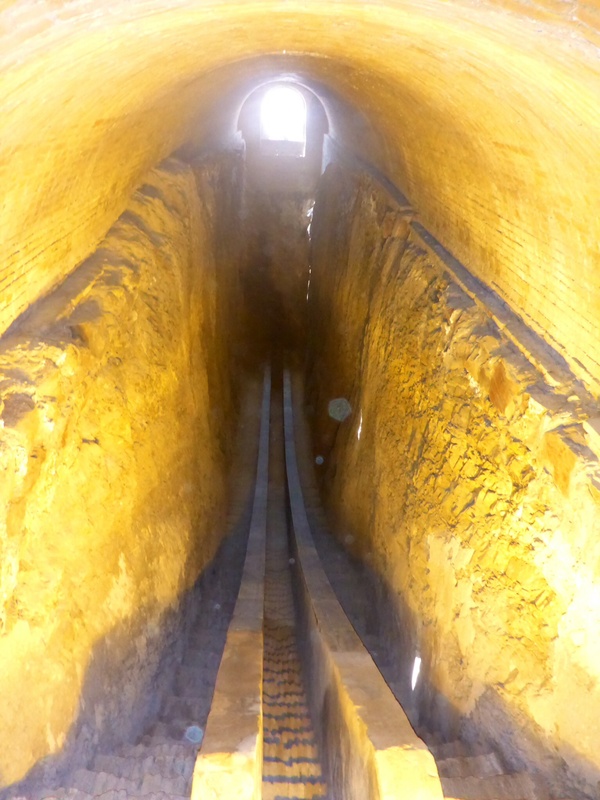 What remains of Ulugh-Beg’s observatory – he determined the Earth’s axial tilt as 23.52 degrees, which remained the most accurate measurement for hundreds of years. 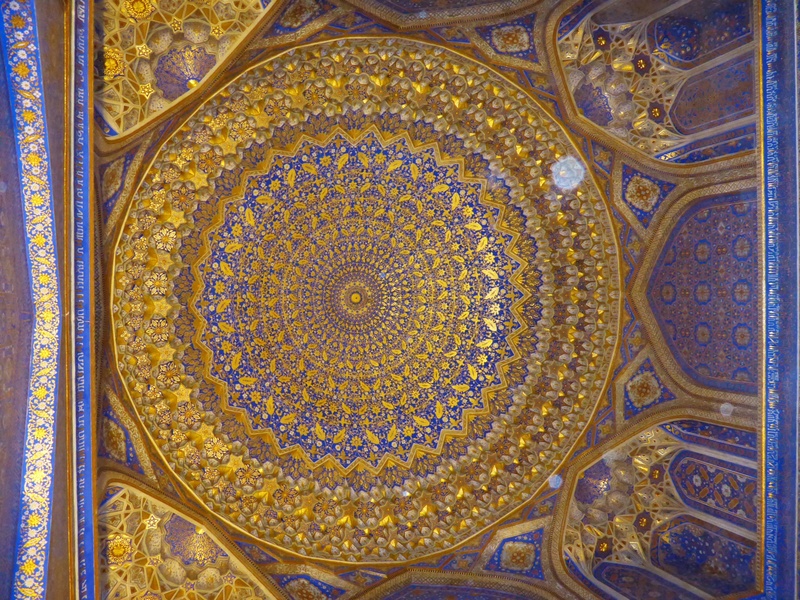 You seem to be blessed with good fortune. 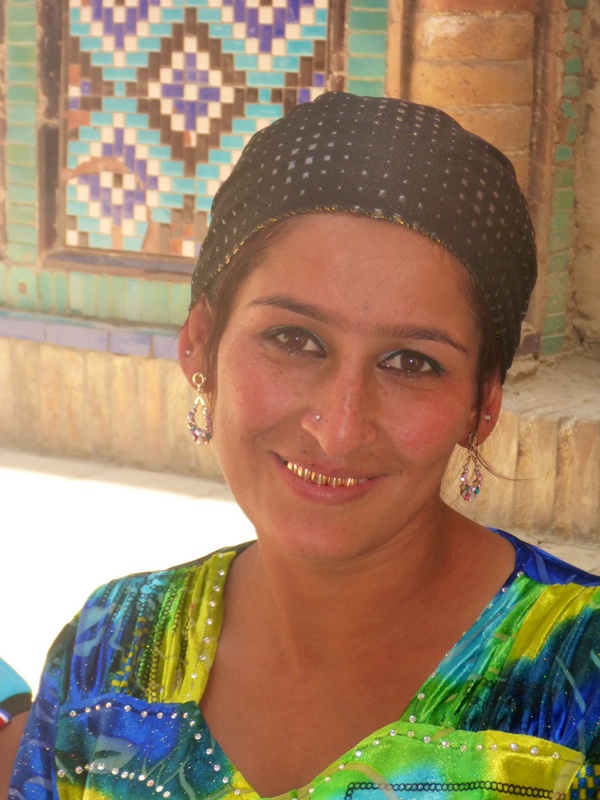 Being able to meet so many friendly and welcoming people must make you wonder how wars are ever started ! 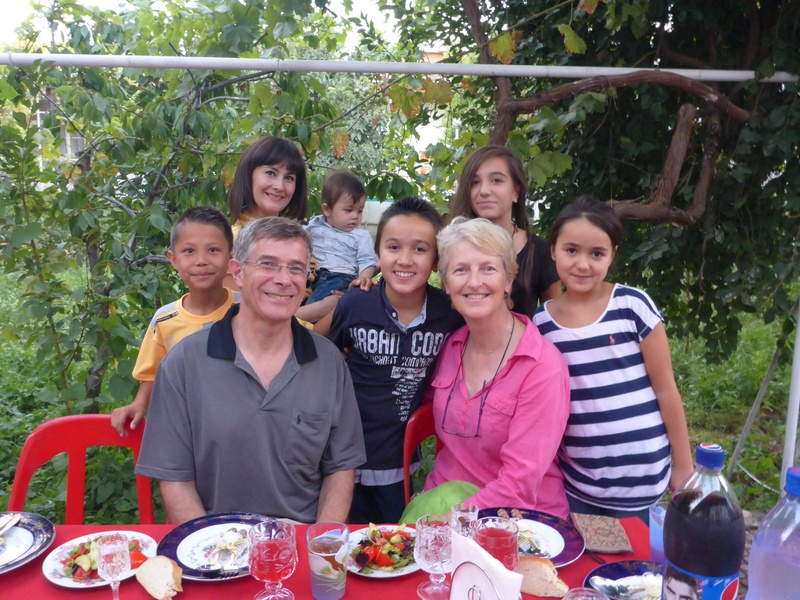 Wow Anne and Anthony, words indeed would not do justice to all that you are experiencing. 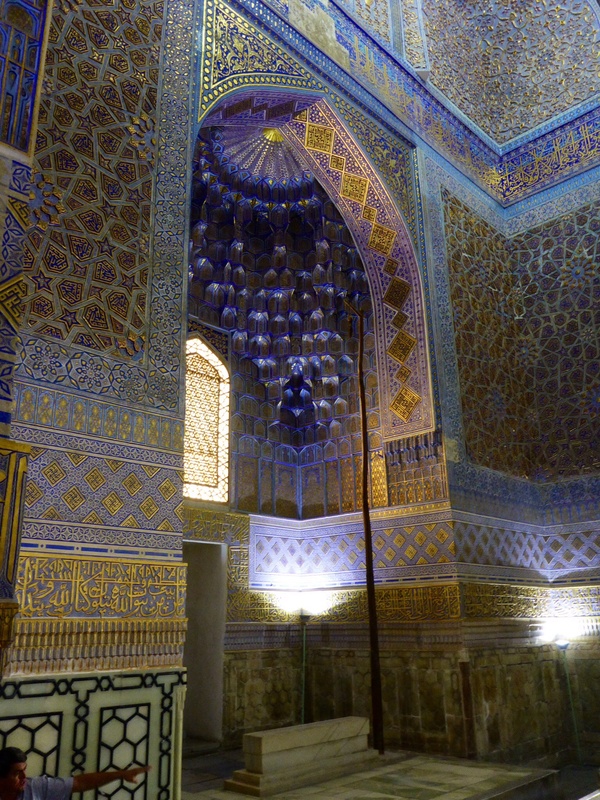 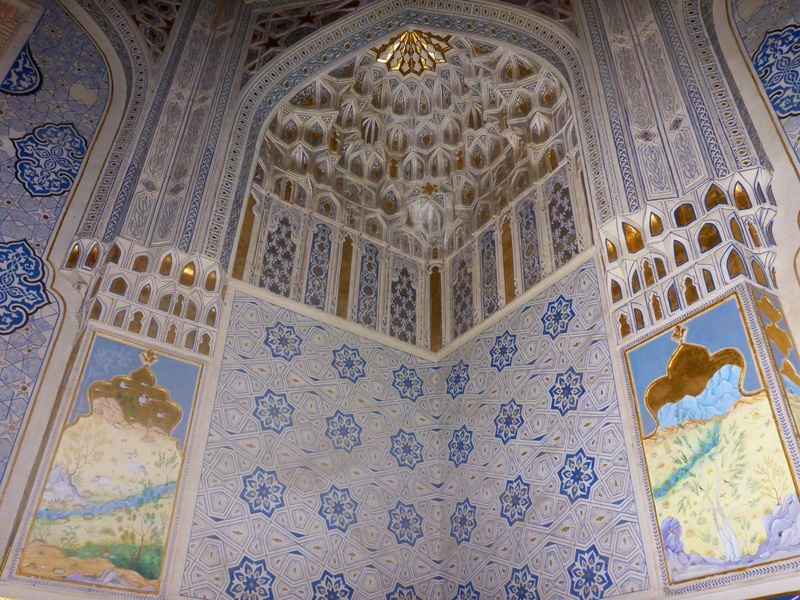 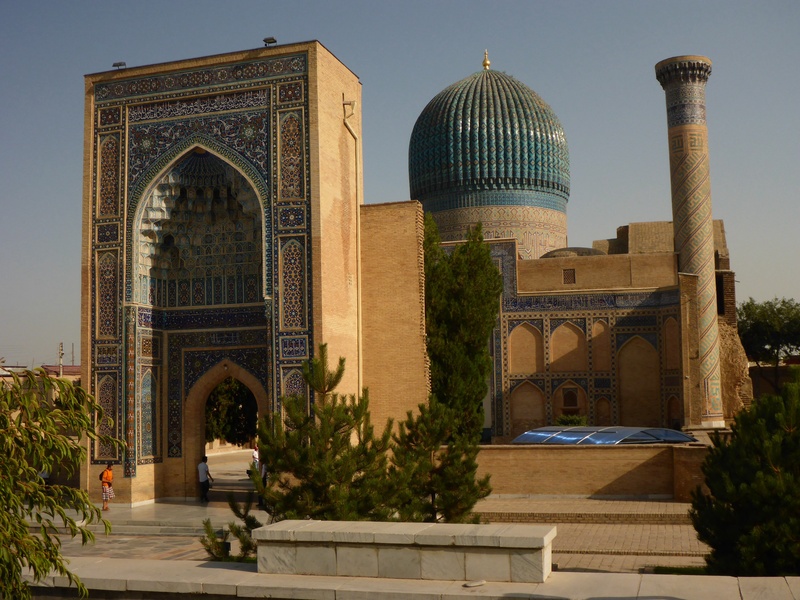 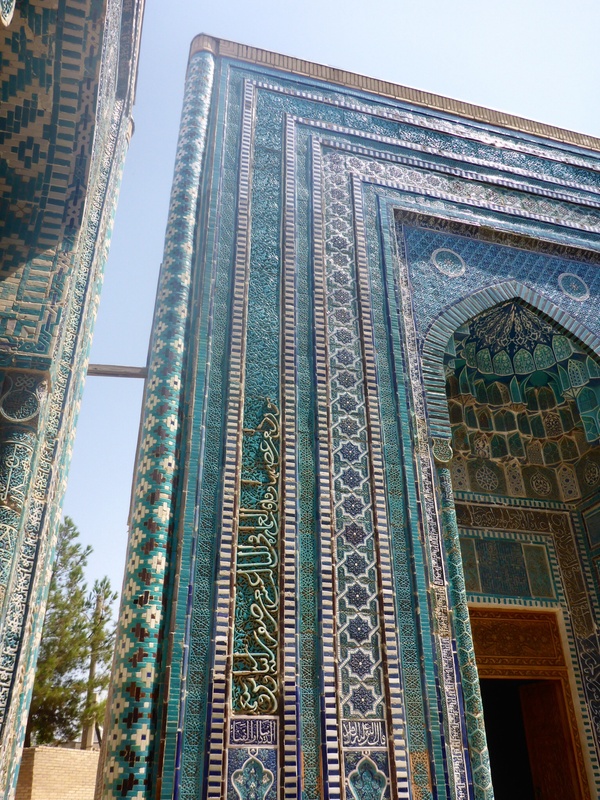 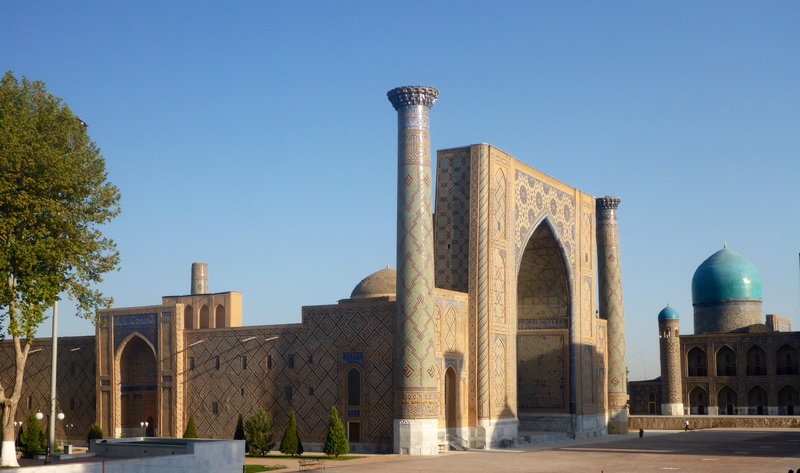 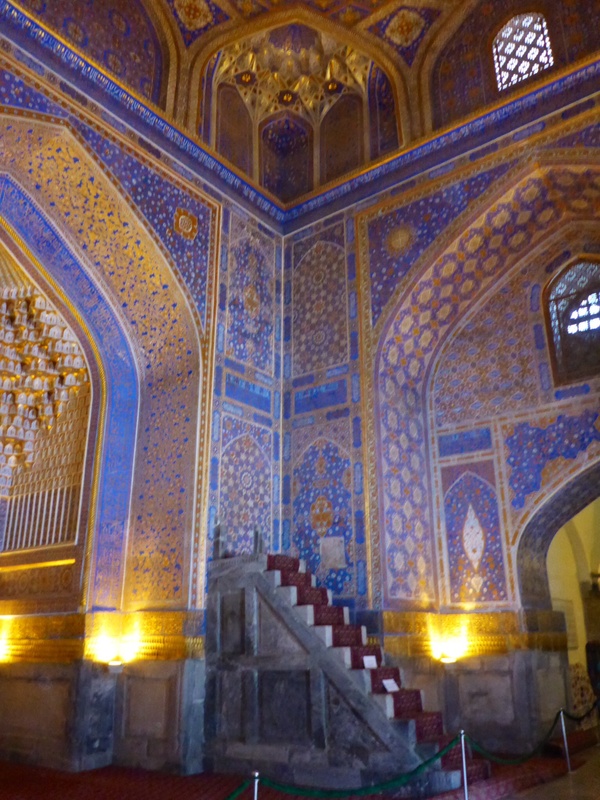 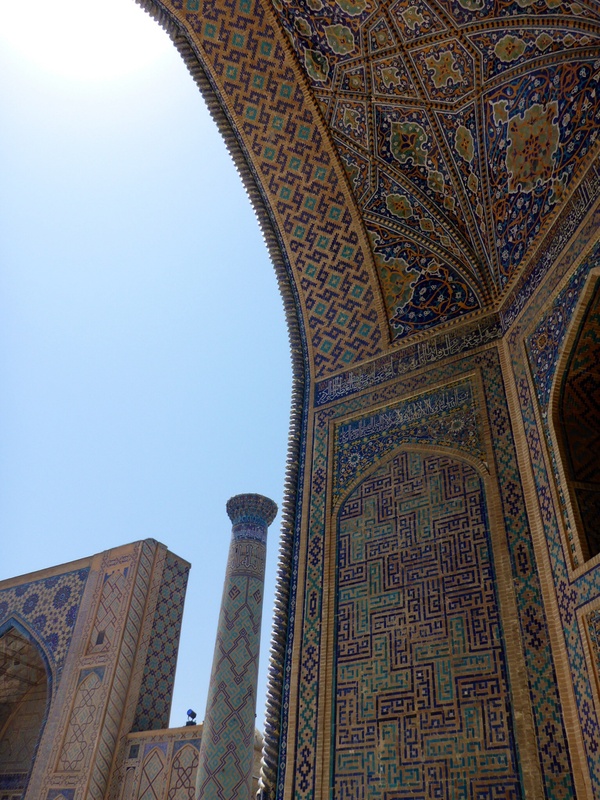 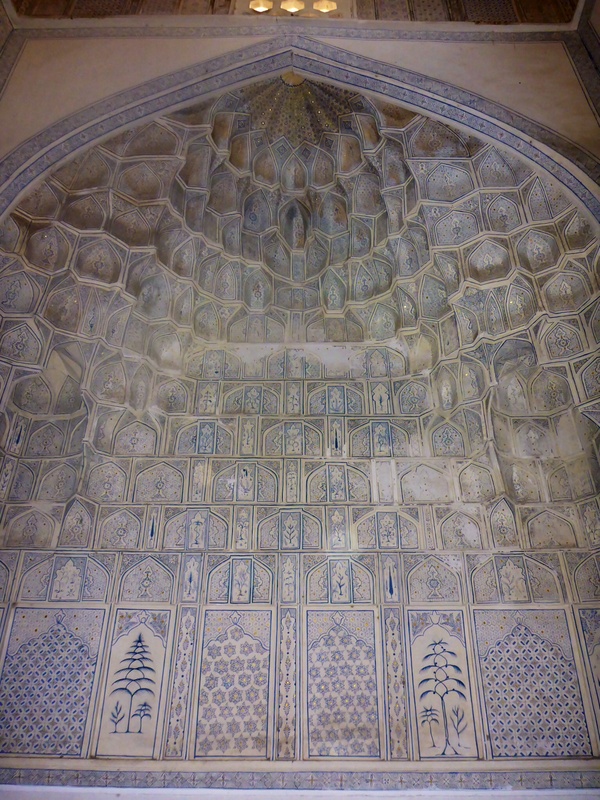 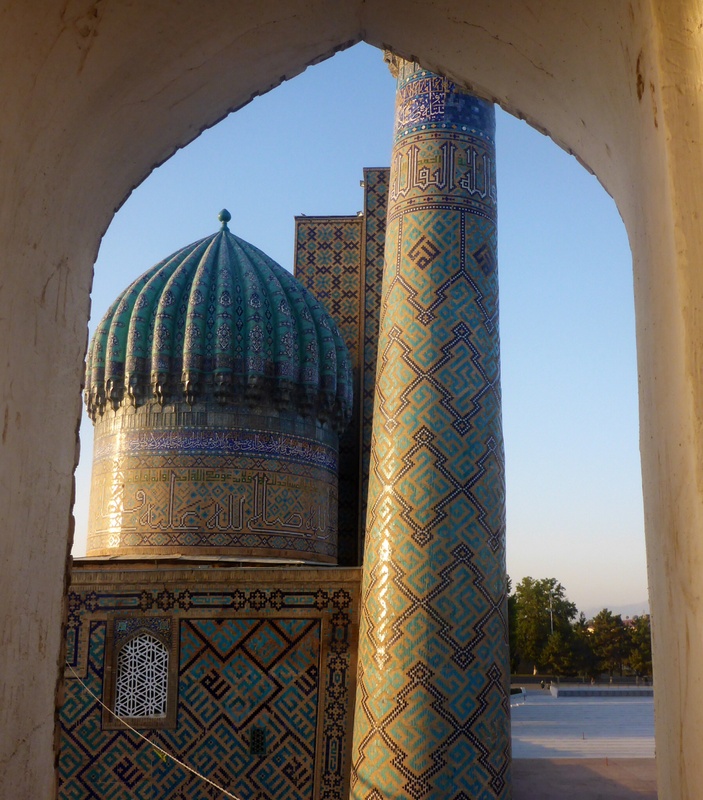 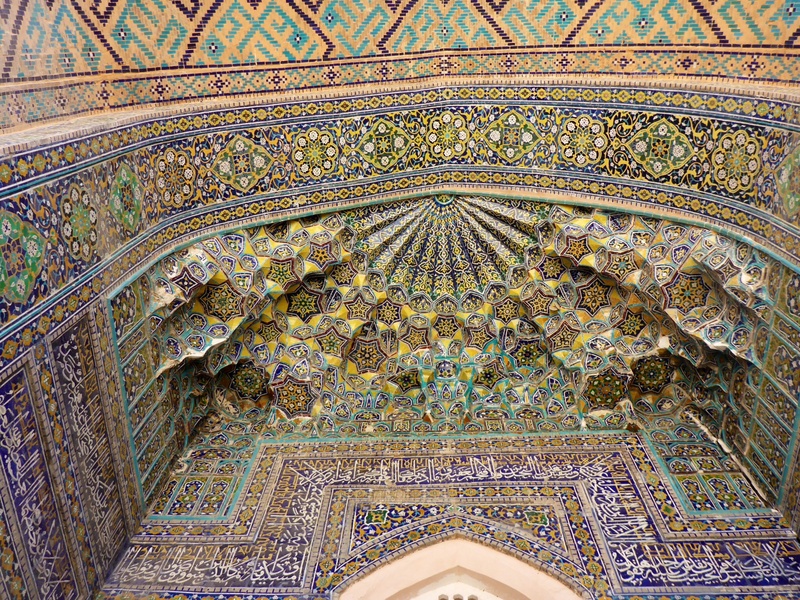 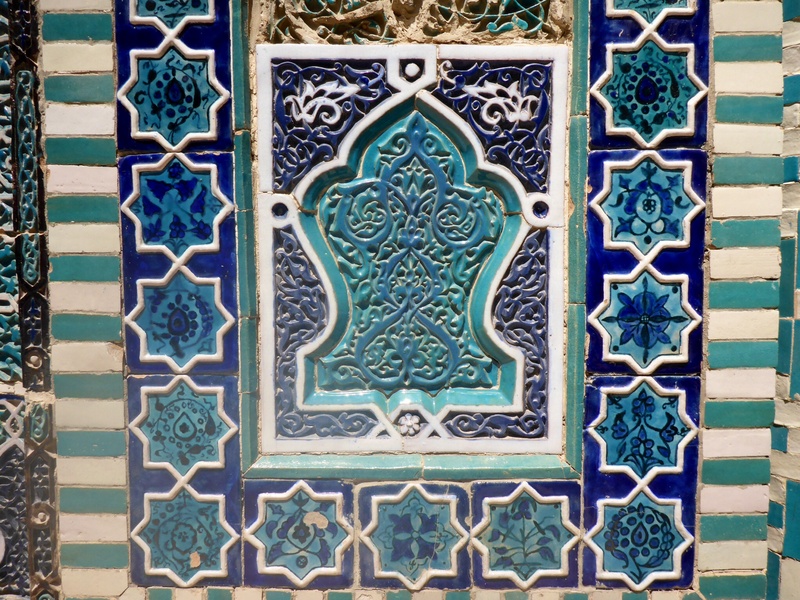 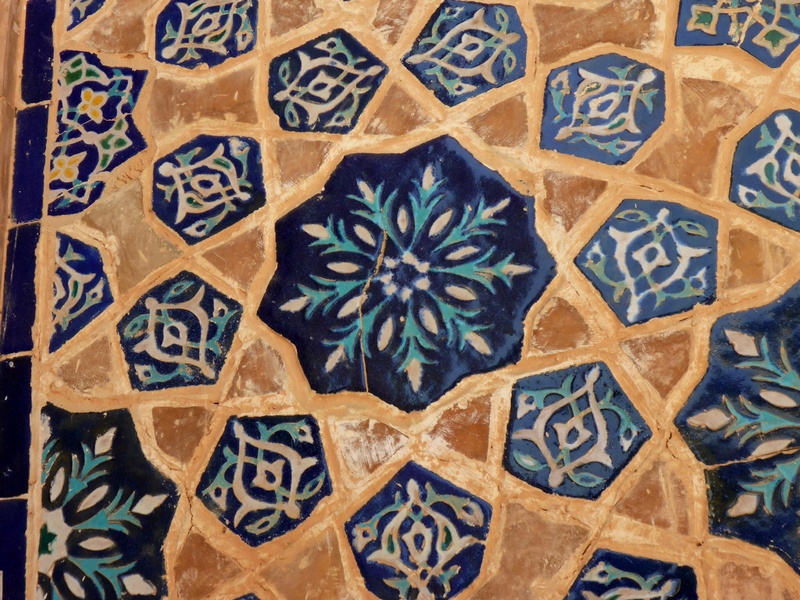 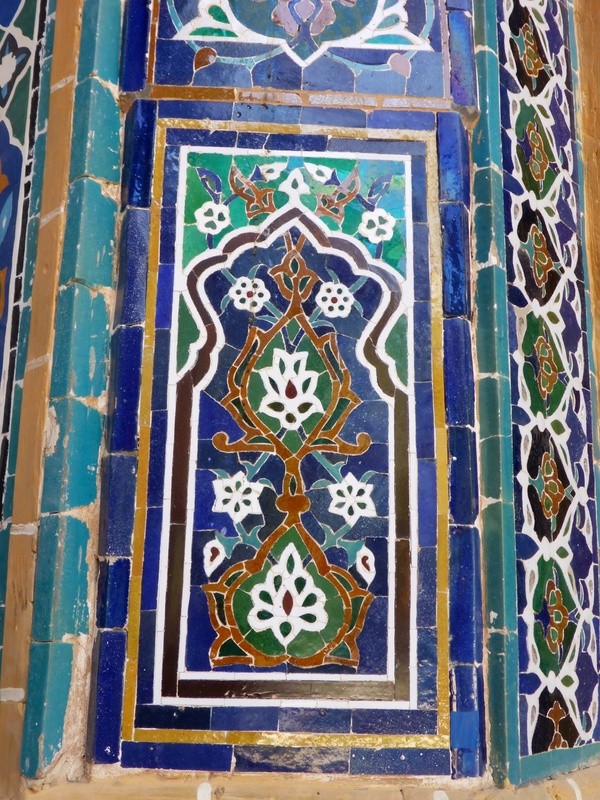 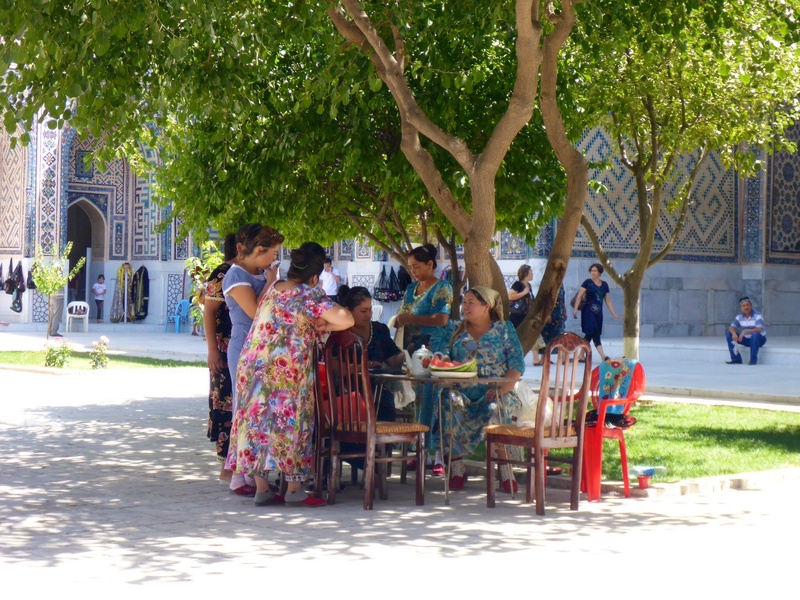 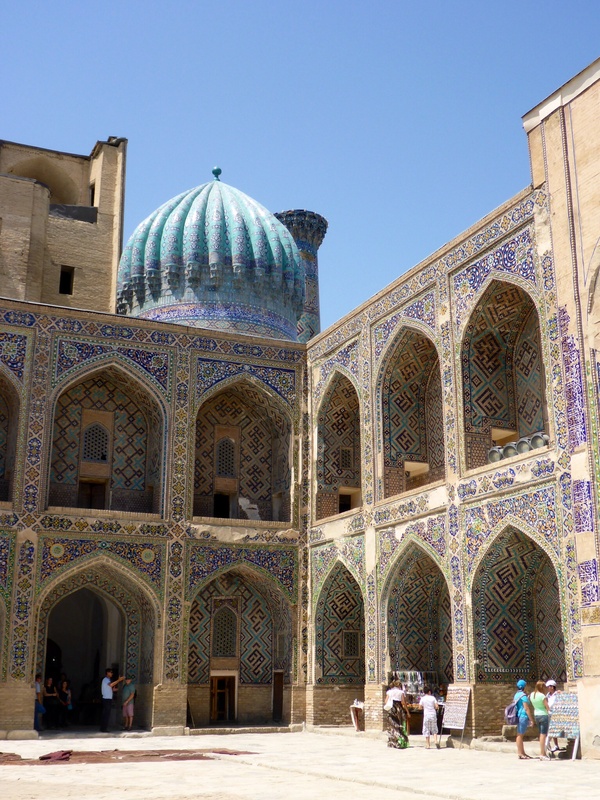 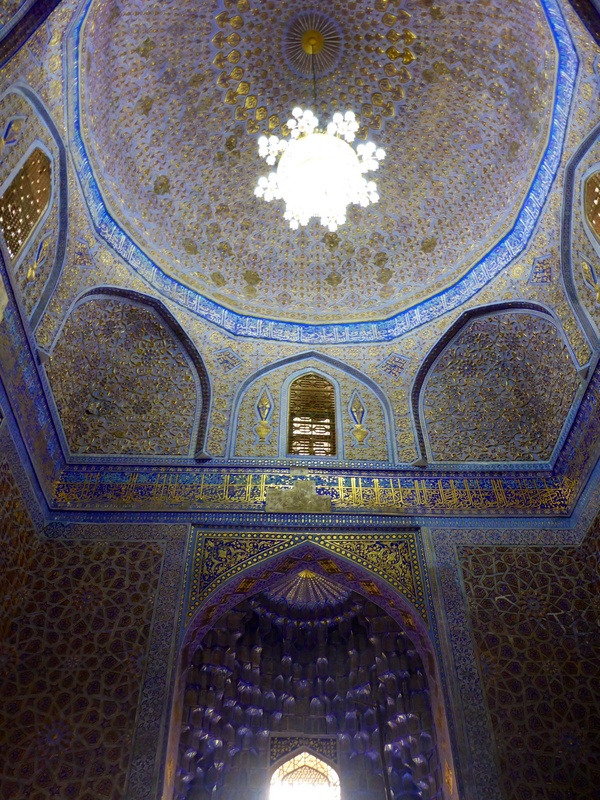 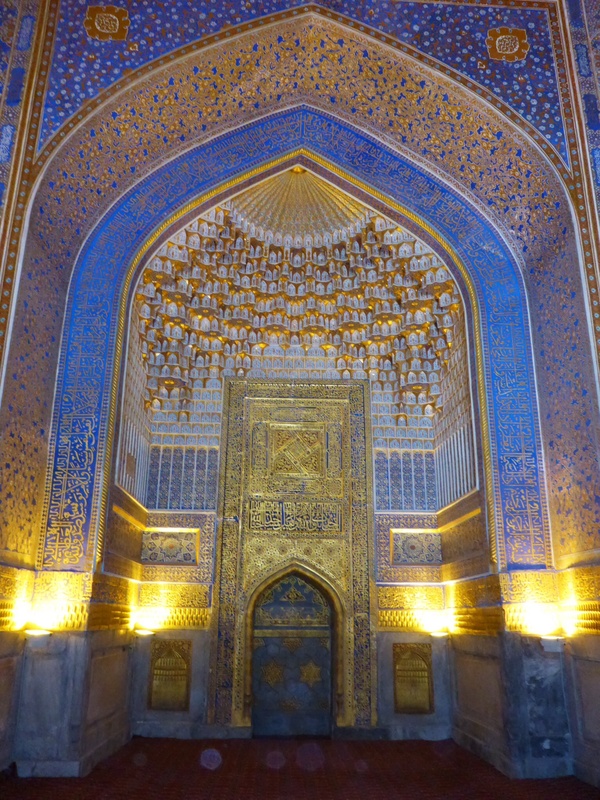 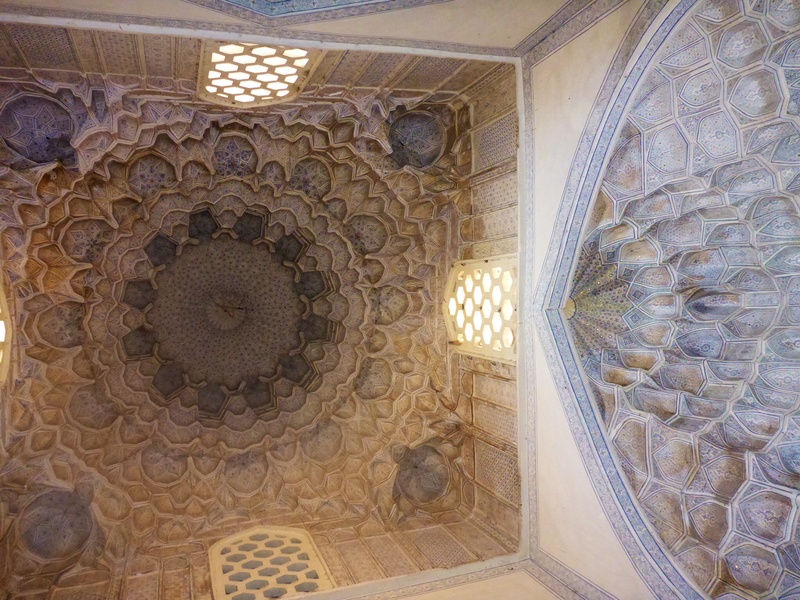 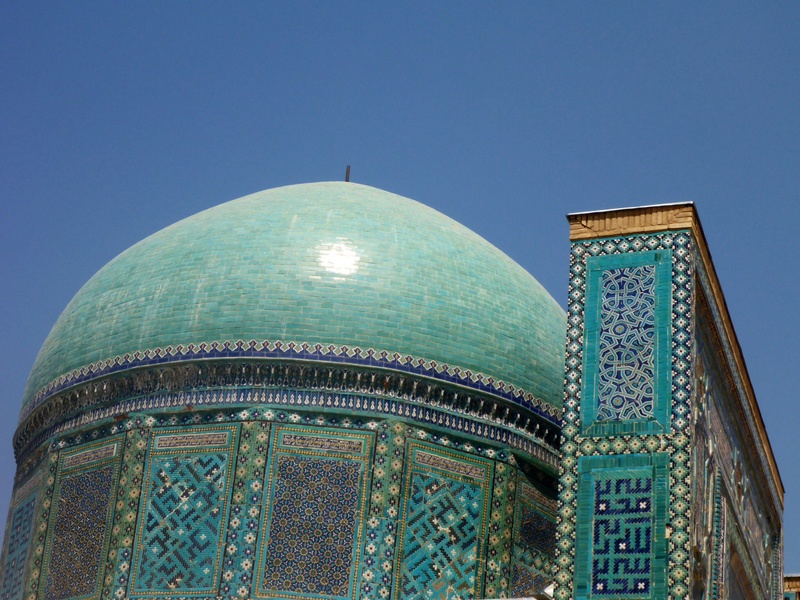 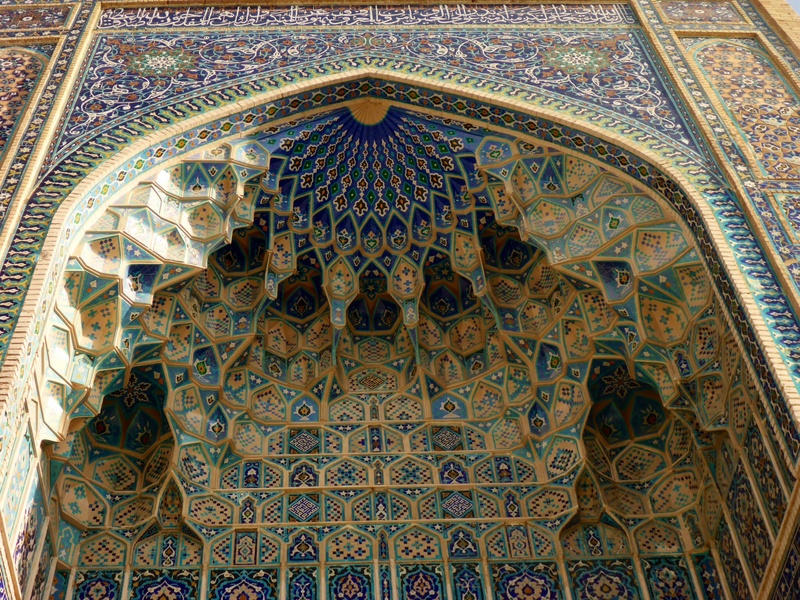 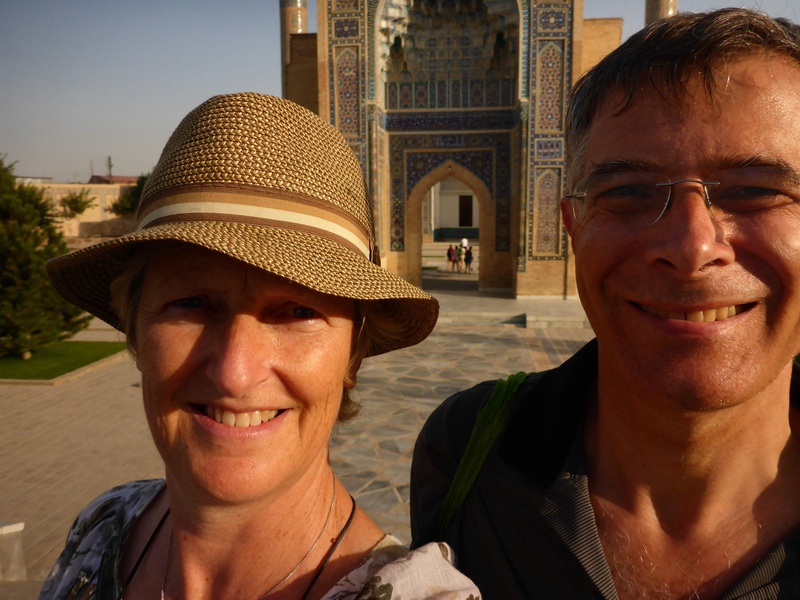 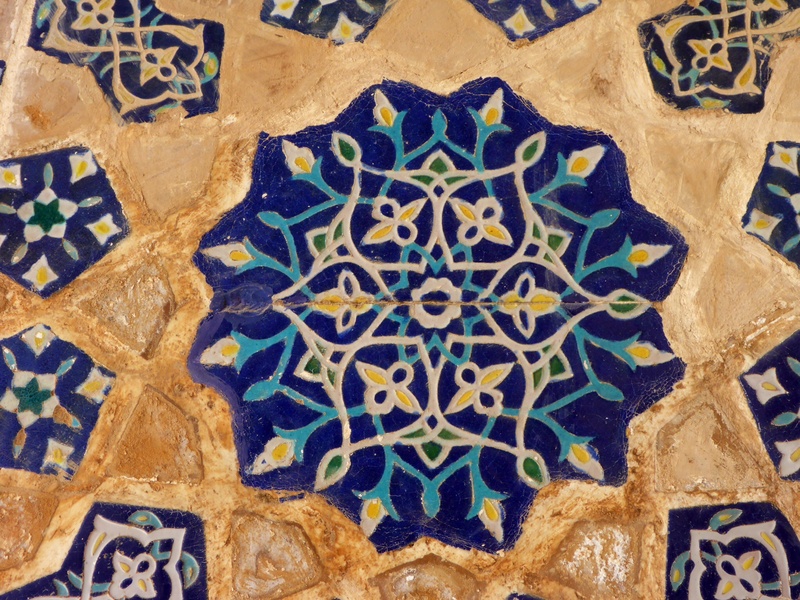 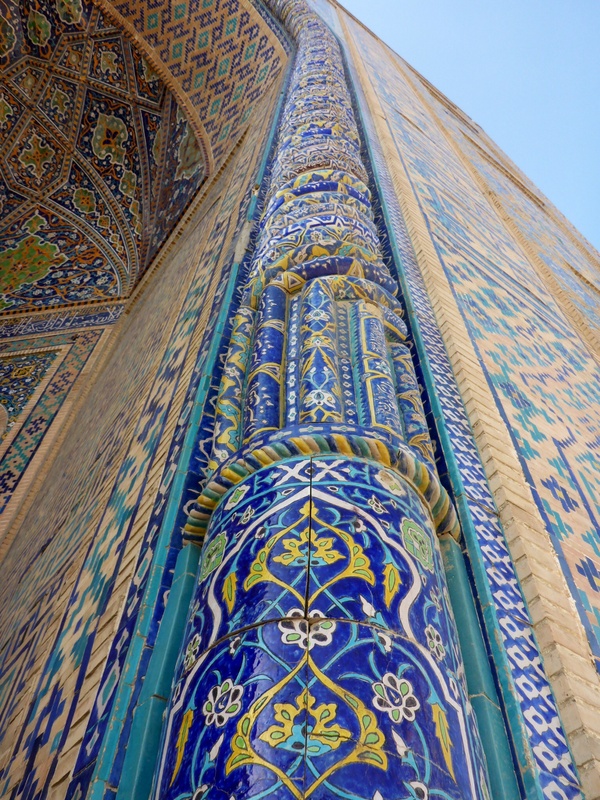 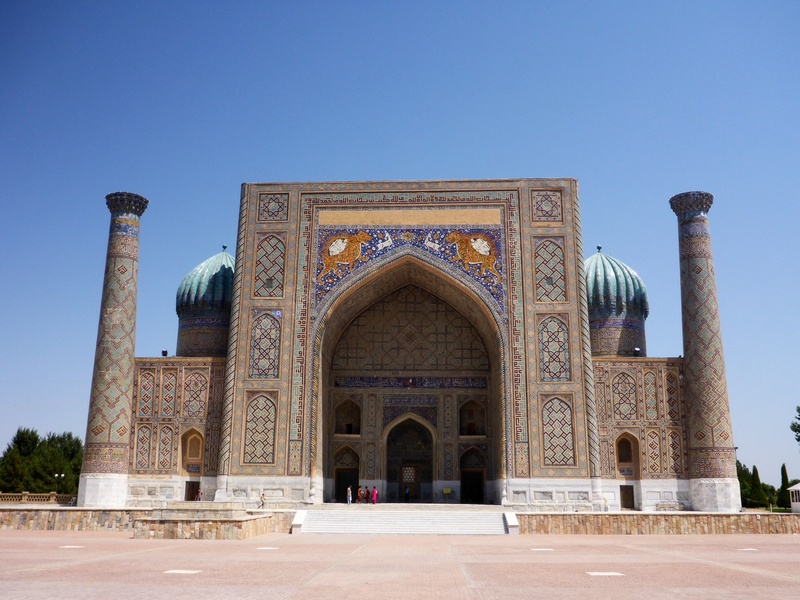 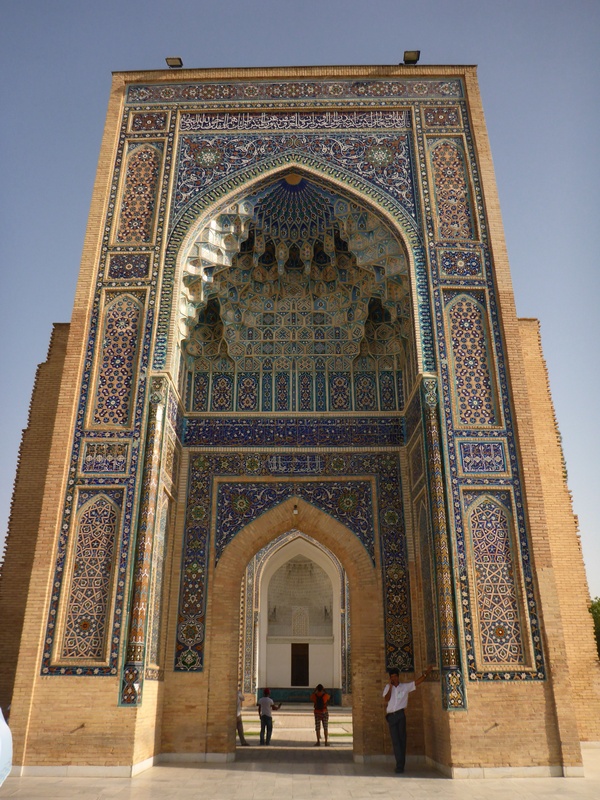 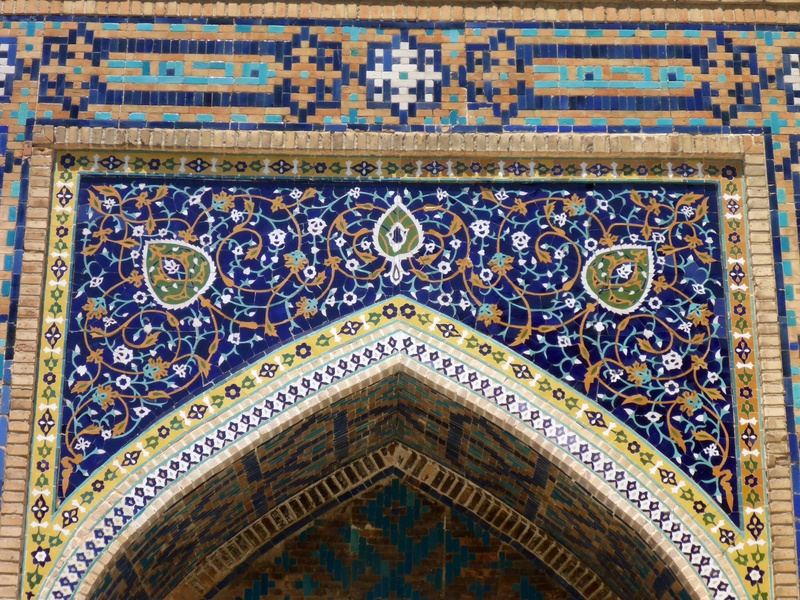 The splendour of the Islamic architecture (surely Samarkand must have the best examples of this) and all the wonderful people you meet…. 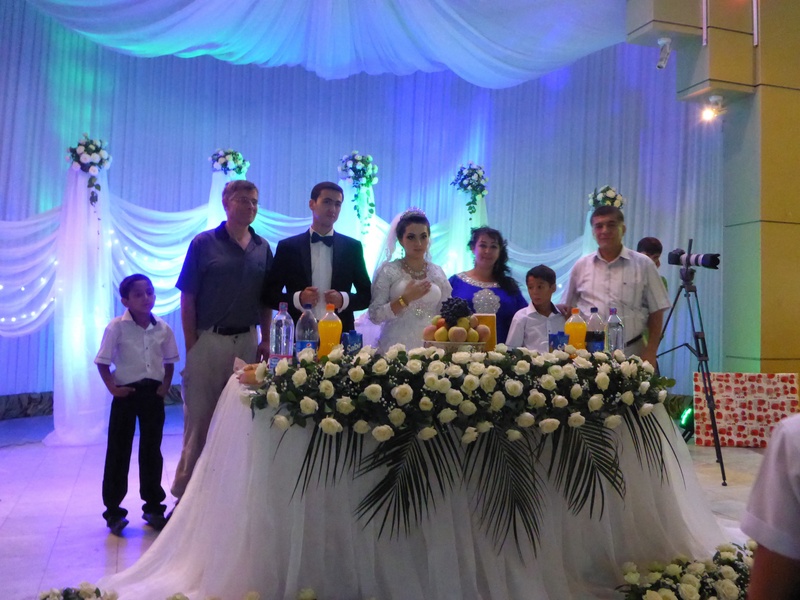 Enjoy this journey of a life time!! 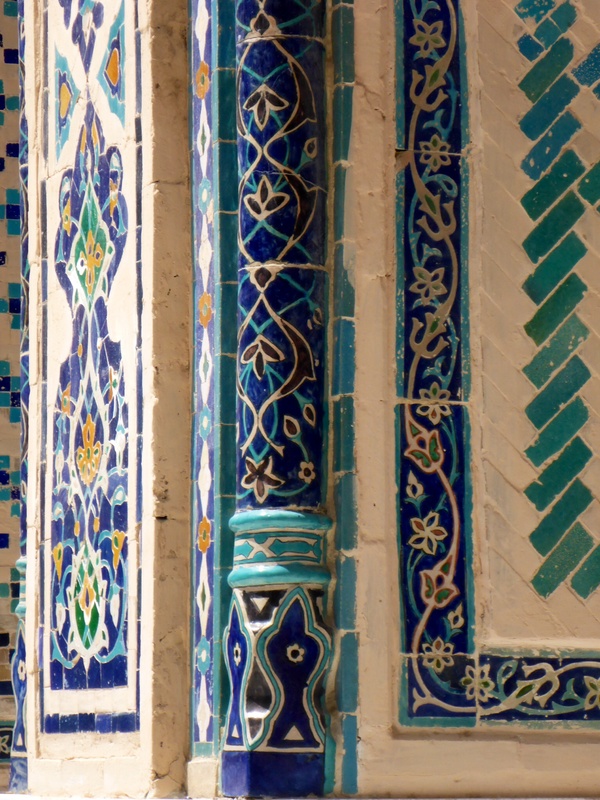 We will keep enjoying our travels and discovering these beauties – in buildings and people. 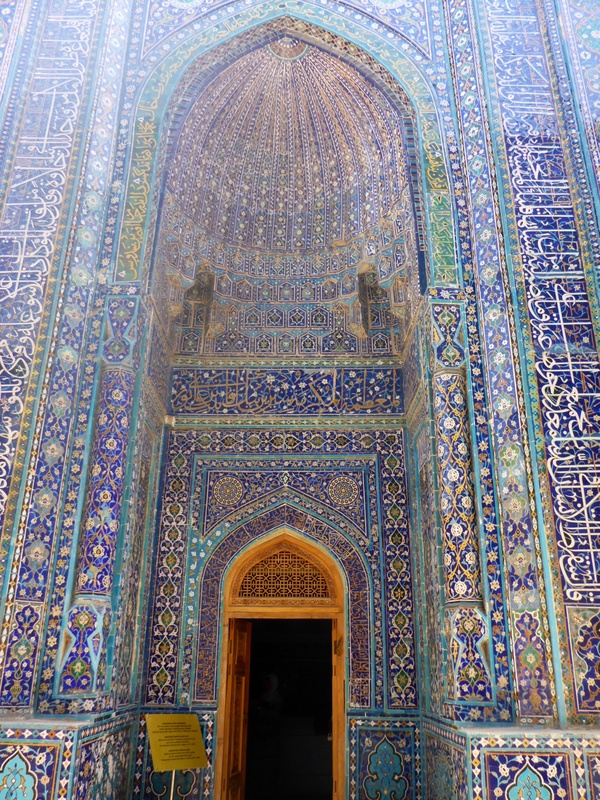 Simply beautiful, what an absolute joy to look at the photographs from this amazing place. 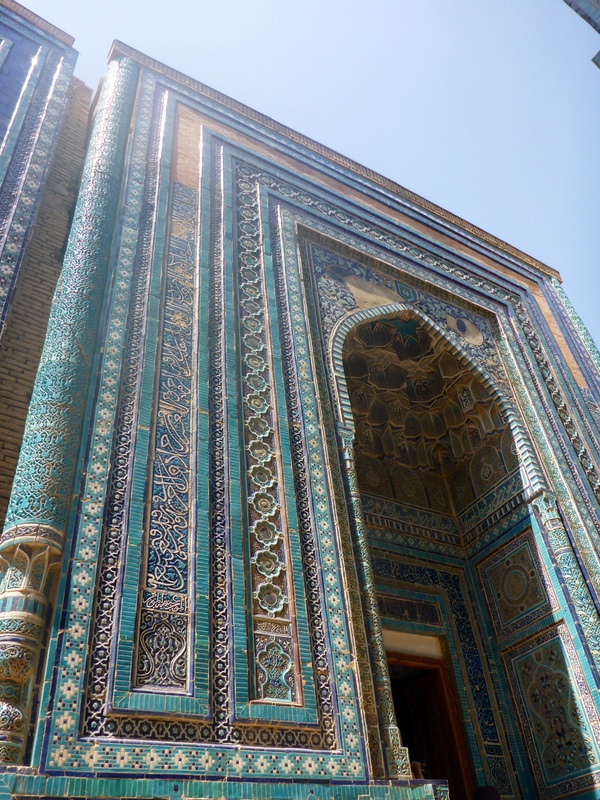 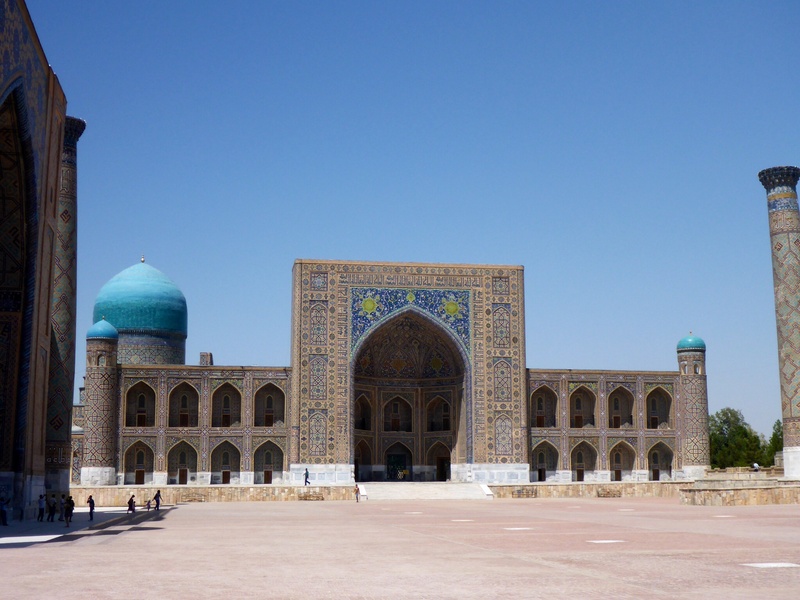 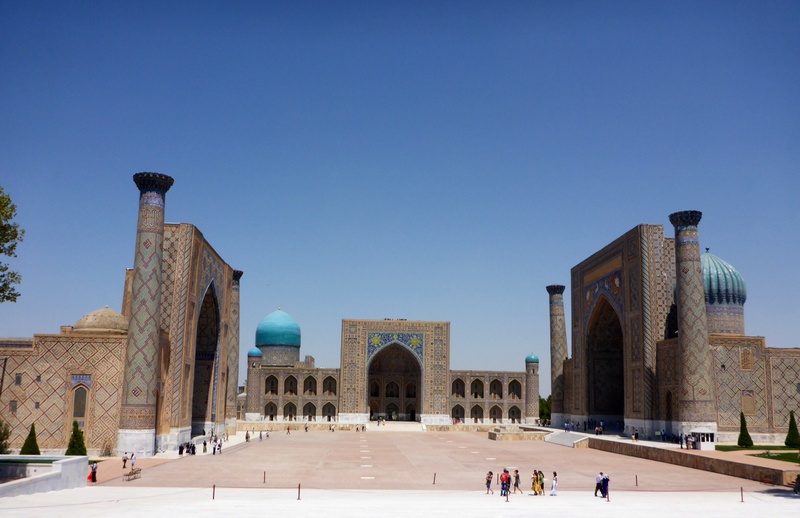 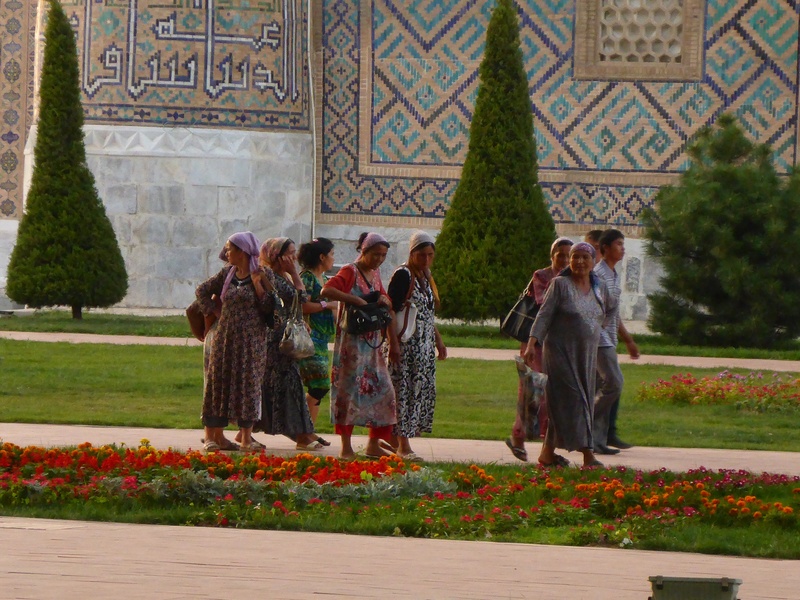 I have been to Uzbekistan but did not end up going to Samarkand, this is definitely on the must do list. 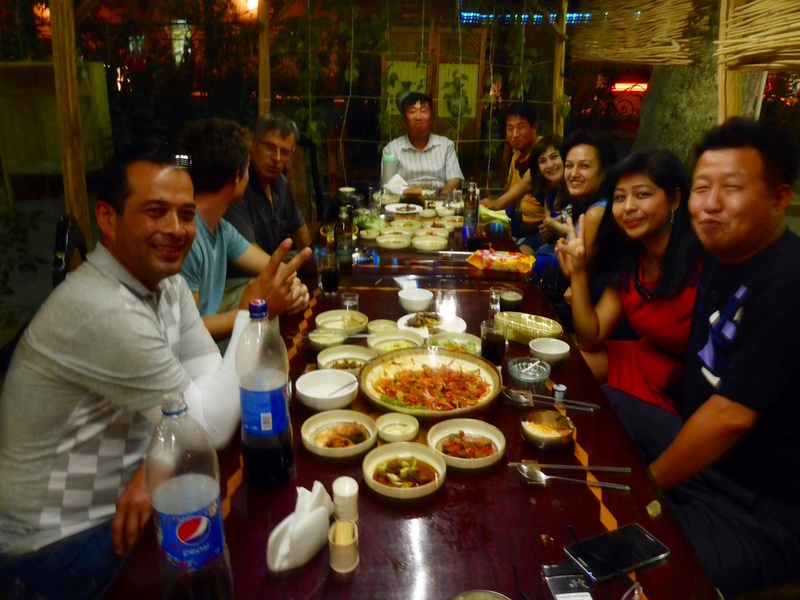 Can’t wait to catch up with you again and listen to the stories. 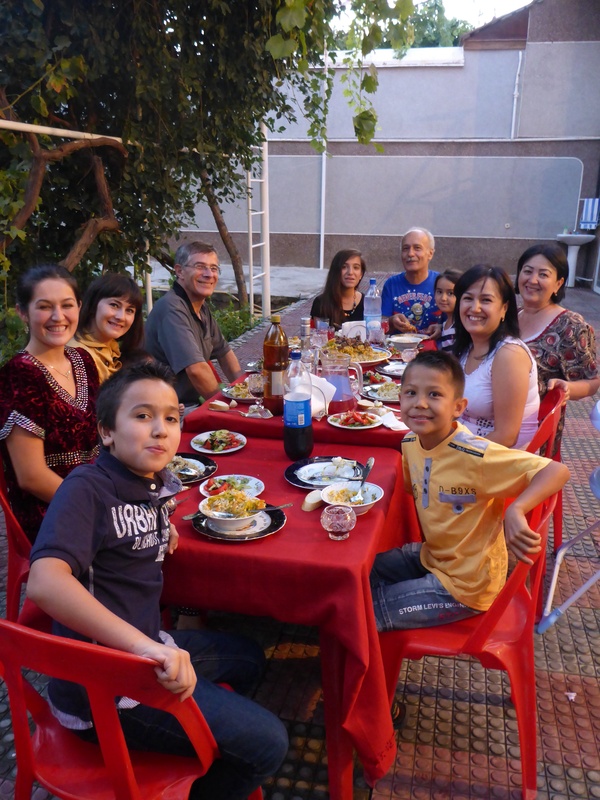 Thanks John. 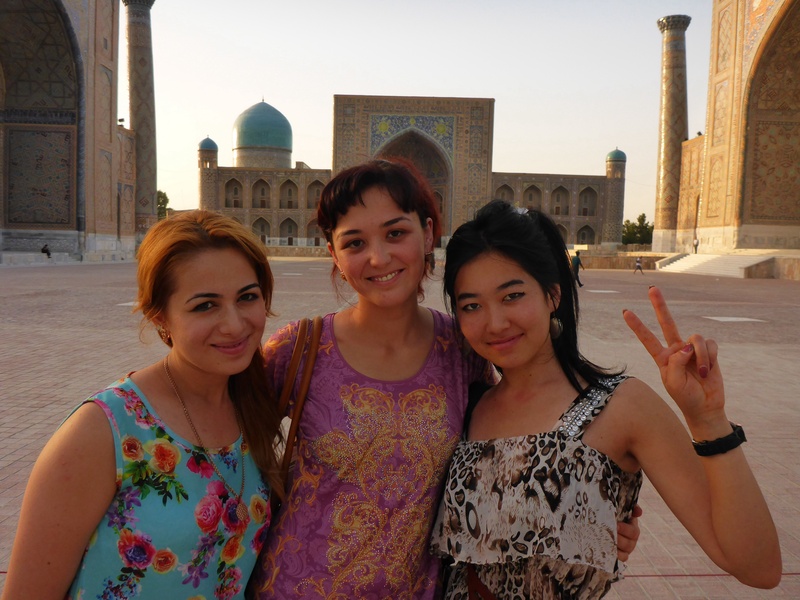 We too look forward to catching up with you somewhere sometime.